(b) Install the AFS ECU with the bolt. 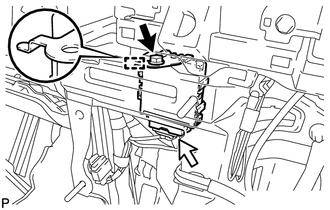 Refer to the procedure from Install Shift Lever Assembly (See page ). 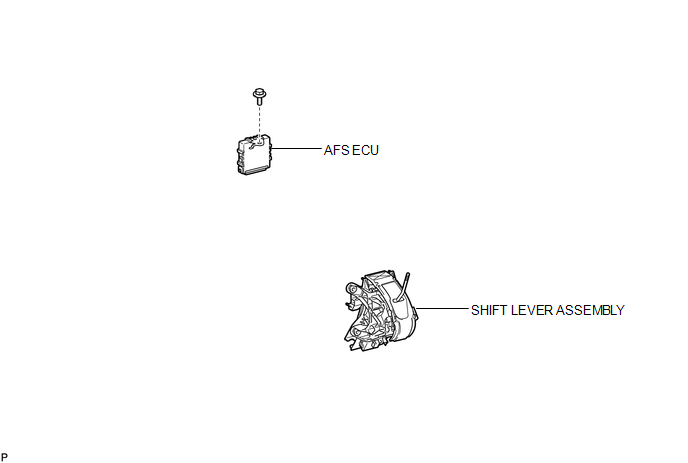 Refer to the procedure up to Remove Shift Lever Assembly (See page ). (c) Disengage the guide and remove the AFS ECU.